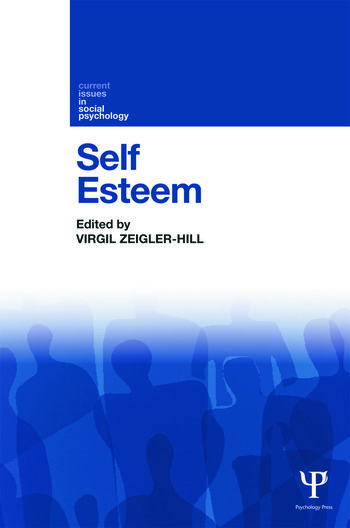 In this edited collection a distinguished set of contributors present a broad overview of psychological research on self-esteem. Each chapter is written by leading experts in the field, and surveys current research on a particular issue concerning self-esteem. Together, the chapters provide a comprehensive overview of one of the most popular topics in psychology. The developmental changes in feelings of self-worth over the life span. This collection of state-of-the-art reviews of key areas of the psychological literature on self-esteem will be of great interest to researchers, and academics, and also to graduate and advanced undergraduate students of social psychology. Virgil Zeigler-Hill, The Current State of Research Concerning Self-Esteem. Carolin J. Showers and Christopher P. Ditzfeld, Evaluative Organization: The Self-Concept in Social and Emotional Contexts. Kali H. Trzesniewski, M. Brent Donnellan, and Richard W. Robins, Development of Self-Esteem. Christian H. Jordan and Virgil Zeigler-Hill, Secure and Fragile Forms of Self-esteem. Tracy DeHart, Reyna Peña, and Howard Tennen, The Development of Explicit and Implicit Self-esteem and their Role in Psychological Adjustment. Margaret S. Clark, Self-Esteem and Interpersonal Relationships. Tom Pyszczynski and Pelin Kesebir, Existential Functions of Self-Esteem. Lora E. Park and Jennifer Crocker, Pursuing self-esteem: Implications for self-regulation and relationships. Jessica Cameron, Jennifer MacGregor, & Christine Chang, Badge of Honor or Shame: Self-Esteem as an Interpersonal Signal. Christopher J. Mruk and Edward J. O’Brien, Changing Self-Esteem Through Competence and Worthiness Training: A Positive Therapy. Virgil Zeigler-Hill is a social-personality psychologist at Oakland University, USA. He conducts research concerning self-esteem, narcissism, the structure of the self-concept, and interpersonal relationships. "This book is concise, thorough, and powerful. … In order to tease apart the complex issue of self-esteem, Zeigler-Hill (Oakland Univ.) brought together an impressive array of well-known and rising researchers and scholars. … The writing is engaging and scholarly, and the content is relevant. Those who work with individuals with self-esteem issues and those who study the concept from a more theoretical point of view will find much of value in this work. This is another fine addition to the "Current Issues in Social Psychology" series. Summing Up: Highly recommended. Graduate students, researchers/faculty, and professionals/practitioners."